I really hate to see it go! It’s been a very busy summer, as you can tell from my lack of posts, but it has been a great one!! I do love the fall too but it means winter is just around the corner and I’m not much of a fan. I think the part I dislike the most is the short days – I’m hoping our state decides to stop the time change so even if the days are cold they will not be so short! 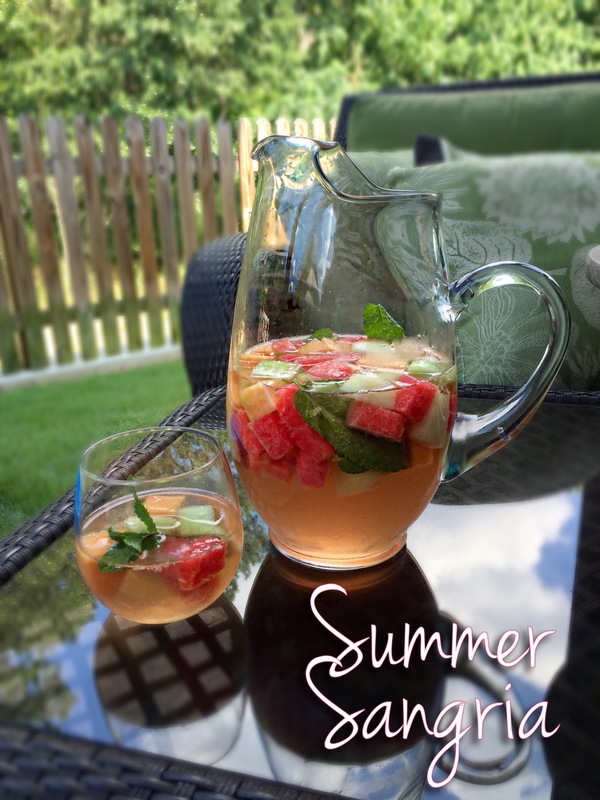 If you are like me and want to grasp on to the little bit of summer we have left – here is a great recipe that has summer written all over it! In a large pitcher, combine the wine, liqueur, 1 sprig of mint and a cup each of the cantaloupe, watermelon and honeydew. Cover, chill for at least 8 hours. Place the remaining melon cubes in a baking dish in a single layer, cover and freeze. Remove the mint from the chilled mixture and discard. Add in the other sprig of mint, club soda and frozen melon. Stir and serve immediately.